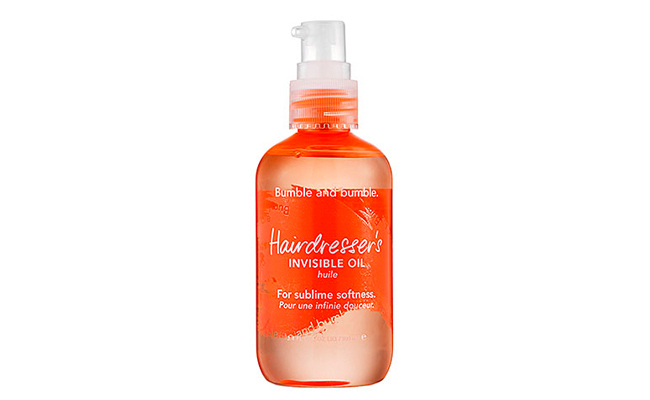 I am hooked on Bumble Bumble Hairdresser’s Invisible Oil ($38 http://www.bumbleandbumble.com)! I have been using it for two weeks and it has 100% changed how my hair feels! It is for anyone that wants to reduce frizz, tame flyaways, add shine and strengthen hair against breakage. I apply before I blow dry and it leaves my hair smooth and soft and SOOOO easy to manage. You can also use a little when your hair is dry to help manage flyways. It is oil so you don’t want to over do it! The product is a blend of oils that help you to manage your hair better while it is wet and keep it looking great when it is dry! If you have a hard time blow-drying your hair, give this a try! It helps to keep hair tangle free and smooth during the process. It is a product that everyone has to have to for the new year!